Join us for a discussion with Dr Unni Karunakara on Wednesday, November 23 at 4:15 pm in the Warren Ross Auditorium, St. Kitts UMHS Campus, as we explore the current state of humanitarian action and the role and responsibilities of governments. Dr Unni Karunakara has been a humanitarian worker and a public health professional for two decades, with extensive experience in the delivery of health care to neglected populations affected by conflict, disasters and epidemics in Africa, Asia, and the Americas. He was Medical Director of the medical humanitarian organisation Médecins Sans Frontières (MSF)/Doctors Without Borders’ Campaign for Access to Essential Medicines (2005-2007) and later its International President (2010-2013). Unni serves on the Board of Directors of Drugs for Neglected Diseases Initiative (DNDi) India and MSF/Artsen Zonder Grenzen Holland. In 2001, he helped found vivo, an organization that works toward overcoming and preventing traumatic stress and its consequences. Dr Karunakara is currently a Senior Fellow of the Jackson Institute for Global Affairs at Yale University, and a Visiting Professor at Manipal University. We are living in times of humanitarian crises with escalating unmet needs. 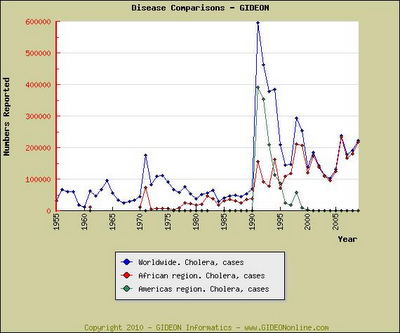 As needs rise, there has been a corresponding erosion of humanitarian protections. Humanitarian workers are being killed in unprecedented numbers and hospitals are no longer safe spaces for care in times of war. The delivery of humanitarian assistance is a delicate balancing act between humanitarian principles and the practical ground realities. What are some of the challenges faced by humanitarian agencies in providing life-saving assistance to those affected by conflict? What needs to be done, and fast? Whose responsibility is it to stop the atrocities in Aleppo? 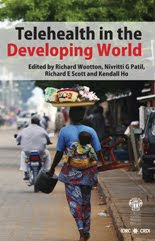 As the world watches horrific wars in the Middle East and Africa forcing 60 million people to leave their homes due to a well-founded fear of persecution, what roles can global citizens play in the face of the biggest crisis of forced displacement since WW2? Mark the date on your calendar. See you there! GIDEON (Global Infectious Diseases and EpidemiOlogy Network) is a web application for diagnosis, simulation and informatics in the fields of Geographic Medicine and Infectious Diseases, and Clinical Microbiology. The UMHS Anne Ross Library is currently running a trial of this valuable database for the next 60 days for the use of our faculty and students. View the 4.5 minute video 'Introduction to GIDEON' below and then you can go on to view the 5 minute video 'Microbiology in GIDEON'. You may also view a web Tutorial here. Access through the Library Home Page link to our EBSCO resource subscriptions and login. See the Library Desk if you have forgotten your login. 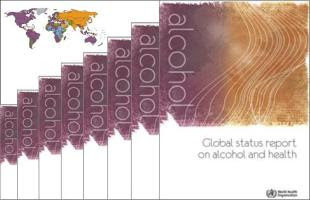 The Global Status Report on Alcohol and Health 2011, published by the World Health Organization, presents a comprehensive perspective on the global, regional and country consumption of alcohol. 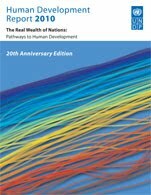 It also portrays patterns of drinking, their health consequences, as well as policy responses in the various countries. The goal of the WHO is to assist countries in their efforts to reduce the harmful use of alcohol, and its health and social consequences. Click for the statistics on individual countries including St. Kitts & Nevis. The World Health Organization estimates that chronic infectious diseases cause more than 20 percent of all cancers in the world, including liver, cervical and gastric malignancies. Given that infection-related cancers are more frequent and often more severe in people infected with HIV, in resource-poor Uganda, the HIV epidemic is fueling a 20,000-fold upsurge in Kaposi’s sarcoma in adults and Burkitt’s lymphoma in children! Both are disfiguring cancers with abysmal survival rates due to lack of access to early diagnosis and treatment. In response, the United States Agency for International Development (USAID) has recently awarded a $500,000 grant to the Fred Hutchinson Cancer Research Center to aid in the establishment of the first American cancer clinic and medical-training facility in Africa. The institute is being constructed at Mulago Hospital in Kampala, and on the campus of the Makerere University College of Health Sciences. The grant renews support for the 43 year old Uganda Cancer Institute and it's many proactive efforts to develop and promote novel treatments and cancer prevention efforts in Africa. "will benefit the world by identifying new infectious causes of cancer, new ways to prevent infection-associated cancers such as through the development of new vaccines, and new ways to treat such cancers with nontoxic drugs, thus avoiding the need for chemotherapy." Citation: (2010). Hutchinson to Build First US Cancer Clinic and Training Facility in Africa. Cancer (0008543X), 116(7), 1618-1619. Retrieved from Academic Search Premier database.